Please select dates totalling 5 or more days. Your tub will be delivered on the first date you select and collected on the last. Please bear in mind that you tub will take 24 – 30 hours to heat depending on outside temperature. We deliver to locations within 30 minutes of DH7 free of charge. Please click here and enter your postcode to check your traveling time. An additional delivery charge of £20 will be required for locations over 30 minutes and below 45 minutes travel – this is to cover our petrol, staffing & time cost. We will email or text you following your booking to confirm the delivery charge required. We are sorry but, we do not deliver to locations more than 45 minutes from DH7. Delivery of the hot tub will be made on the day you select. We will arrange a time with you closer to your delivery date. Collection of the hot tub will be made on Monday. We use pumps to pump the water out to an area or drain within 10 metres of the tub. You do not need to be in when the tub is collected, but we will need access to power to use our pumps – you can hang one of your extension leads out your window if needed. If filling with cold water, your tub will take 24-30 hours to heat up to a useable temperature depending on outside temperature. If you would like us to fill with using your hot water please let us know. To fill with hot water you will need a combi boiler and tap adaptor. You can add a pop-up style gazebo including side panels at the checkout for an additional £40. Gazebo hire must be on grass to be pegged securely down. Select one by adding one on the “Gazebo?” section on the booking form. 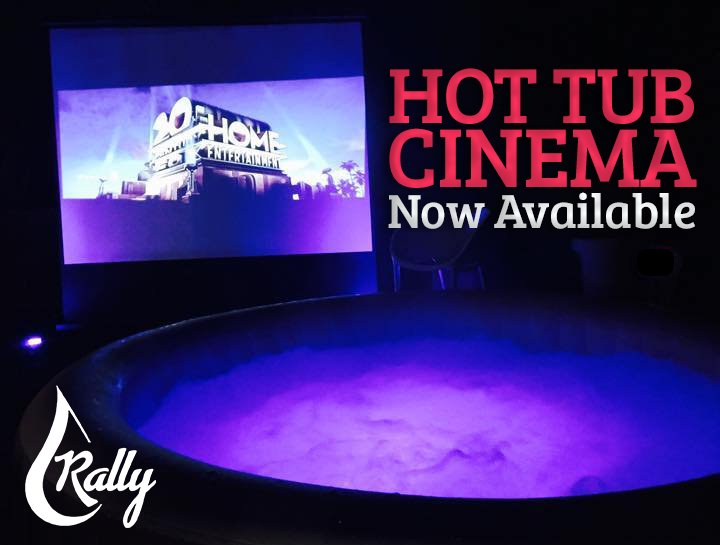 You will receive your large 8 person hot tub, floor protector, full chemical kit, & instructional demonstration. We setup and take away everything for you! 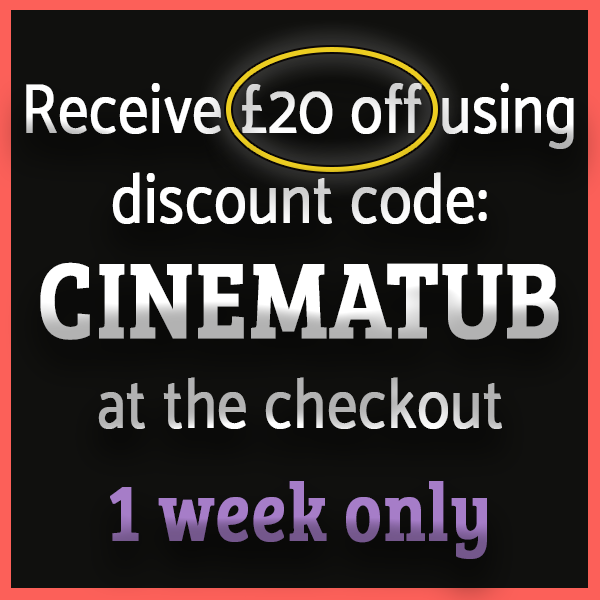 You can pay secure your booking with a £20 booking deposit. The remainder is to be paid on or before your tub delivery in cash. For your hot tub you will need only 2.5 metres x 2.5 metres level surface either grass or hard ground. For gazebos you will need 4m x 4m. If you would like us to come round and check everything is okay, just let us know! Prices may increase slightly over bank holidays, Christmas and New Year. Back to Hot Tub Hire Newcastle. 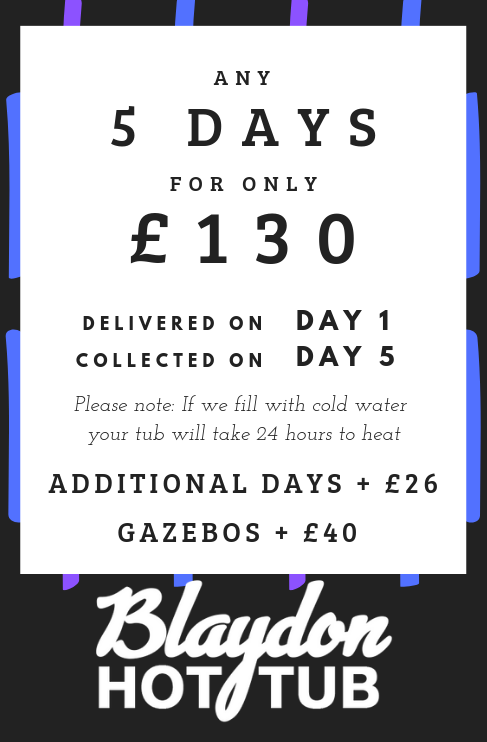 Please email hello@www.blaydonhottubhire.co.uk if you are unable to pay via PayPal.